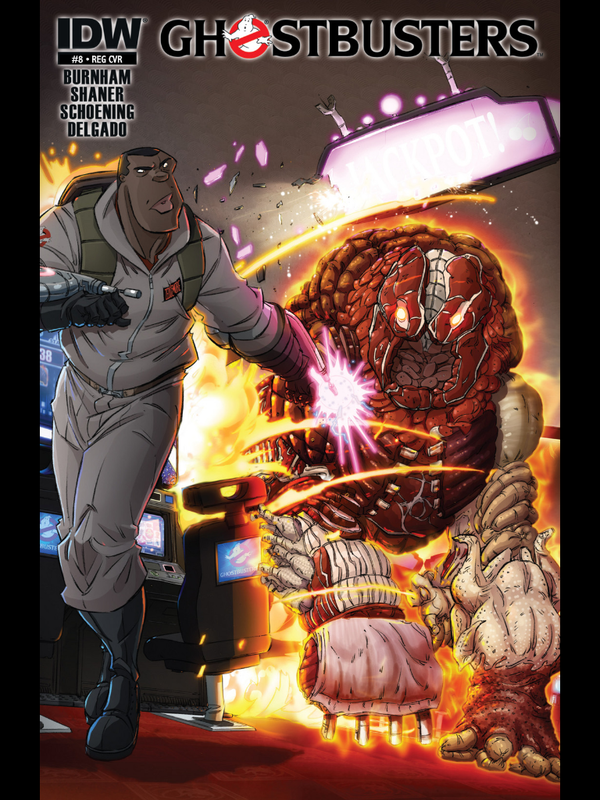 The Ghostbusters have their hands full in this issue! Kylie, Peter, and Ray have boarded the John Milton to meet its restless captain — the stubborn spirit of a teenager who was lost at sea in the ship’s original sinking! Splitting the teams up in this way – and the story seemed to be a risky idea, but it works very well with the extended cast in the Ghostbusters story. Winston deals with a problematic ghost while on holiday in Las Vegas, and makes sure he get’s what promised to him. While Ray and Peter deal with a ghost ship and ice at sea. The changes of pace are well done, with Ray and Peter being slower, more methodical, whereas Winston is more frantic! The artists seem to be having a lot of fun with the different ghosts too!